Coimbatore will host the XXXIII Petroleum Sports Promotion Board (PSPB) Inter-Unit Table Tennis Tournament from today. The tournament will run until 4th August. 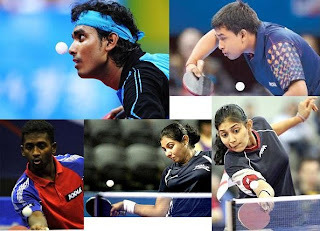 Several Indian Internationals including Sharath Kamal, Soumyajit Ghosh, Amalraj, Soumyadeep Roy, Mouma Das, K. Shamini, Neha Aggarwal, Ankita Das, Poulomy Ghatak are expected to participate. Mimo Ito tired of junior titles, now aiming for the Olympics! Mima Ito had created a huge sensation and created history by winning the ITTF Cadet and Junior Table Tennis titles at the age of 10 in 2011. 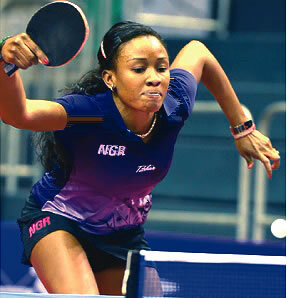 She recently repeated the feat at the Chinese Taipei Junior Open (Premium Junior circuit). Mima is now no longer satisfied with Cadet and Junior titles, but she is aiming at the Olympics already. She is just 12 years old! At Taipei, in the finals of the Cadet Girls’ Singles event she beat No. 2 seed Hong Kong’s Minnie Soo Wai Yam 11-5, 8-11, 11-8, 11-7 and in the Junior finals, beat No. 4 Ayana Morita, 11-5, 11-7, 11-7, 7-11, 11-8. More details on the best deals on high quality Table Tennis rubbers. 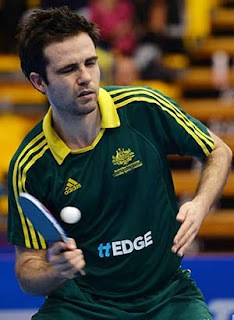 Lowest price guaranteed when you order via email or SMS editor@tabletennisbug.com or 09822091862. Multiple brands available - Donic, Tibhar, Yasaka, Andro, Butterfly, DHS, Xiom, Adidas, Galaxy, and others! Confused about which rubber to choose? Just describe your playing style to us and we'll provide the best suggestion that will suit the style. Prices are subject to revision due to exchange rate reasons and seasonal demand. Young Rakshit Barigidad achieved a rare breakthrough in one of the Karnataka State Ranking Table Tennis tournaments. 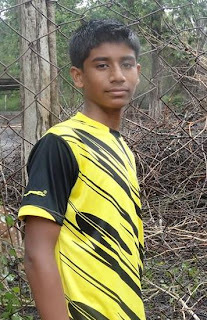 At Belgaum, he overcame C K Yatheesh, Akshay Mahanta, and Anirban Tarafdar in the quarter finals, semi finals, and finals respectively. 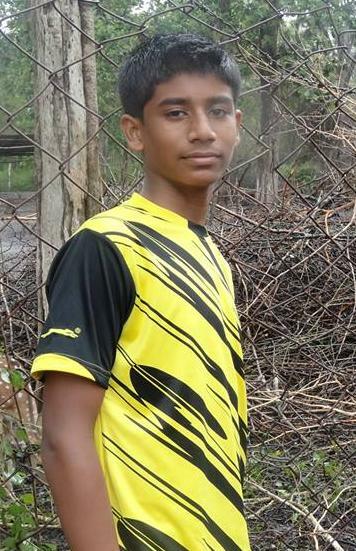 Rakshit made it a double by winning the Youth singles too. 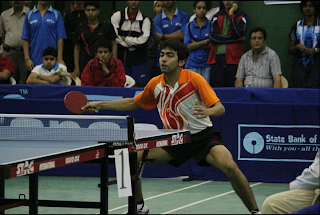 Karnataka Table Tennis has been dominated by experienced stalwarls such as Anirban, Yatheesh, Aloysius Sagayaraj, previously Anirban Roy Chowdhury, Jaideep, Arpit, and quite a few others. It is great to see youth take on experience with Shreyal, Rakshit, Akshay and others achieving good results in the men's section. 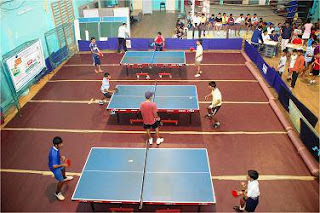 The next Andhra Pradesh State Ranking Table Tennis tournament will be held at St.Paul’s High School, Hyderabad from July 26 to July 29. Get the best deals on high quality Table Tennis rubbers. Lowest price guaranteed. Multiple brands available (Donic, Tibhar, Yasaka, Andro, Butterfly, DHS, Xiom, Adidas, Galaxy, and so on)! For example, Rubbers - Donic Coppa Gold, Donic Platin, Bluefire M2, Rakza, DHS Neo Hurricane, Tenergy and many others. Special rate offers on email enquiries and pre-ordered Table Tennis rubbers. Prices are subject to revision due to exchange rate reasons and also seasonal demand. 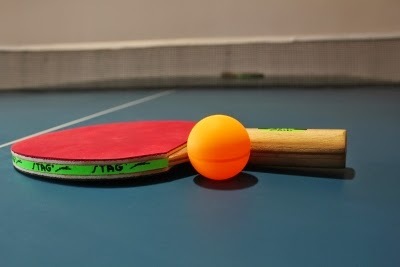 The Lagos International Table Tennis Classic will be held from August 26 to 31 at the Molade Okoya-Thomas of the Teslim Balogun Stadium. The tournament will have $ 40, 000 as prize money, the biggest in Africa. 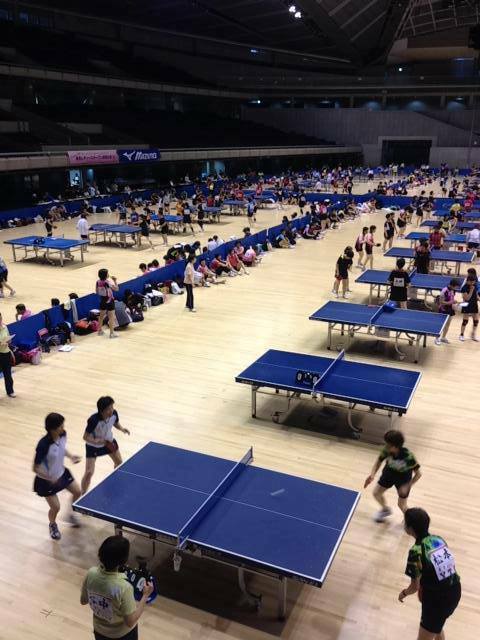 It is an ITTF sanctioned event. 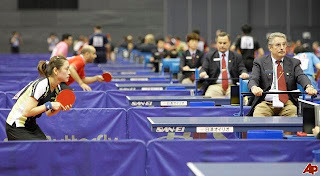 The tournament is being organized jointly by the Nigeria Table Tennis Federation (NTTF) and Main Organising Committee (MOC) of Lagos International Sports Classics. Wahid Oshodi and Khaled El-Salhy are encouraging the organization of the tournament. The North Mundham club is looking for promising players to represent them in this season's matches at the South West Sussex league. The club has recently bagged an additional match night for the coming season. 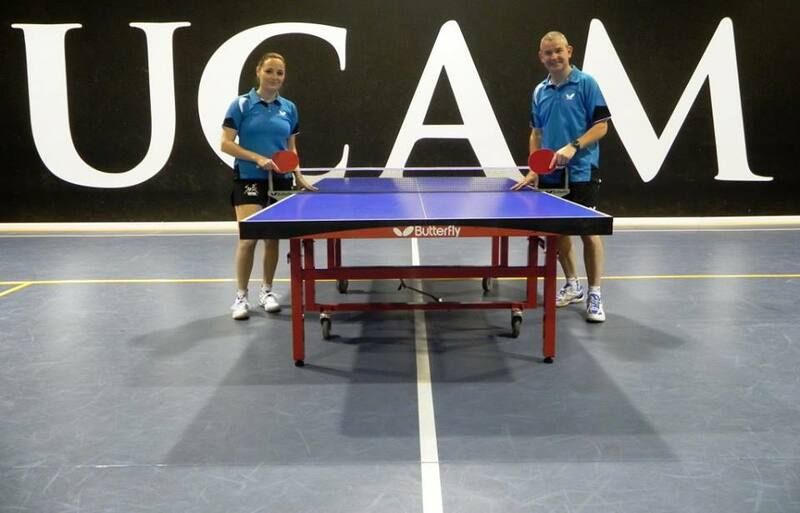 Other clubs are also likely to have opportunities open to Table Tennis players. The league is divided into three divisions based on the playing strength. Reverend Richmond Quarcoo has resigned as the head of the Ghana Table Tennis association, citing reasons of interests elsewhere. Reverend Quarcoo had taken over from Ebo Bartels in May 2010. During Reverend Quarcoo's tenure, the national team took part in different tournaments including the 5th West African Table Tennis championships where Ghana won nine medals. Panaji TT club, sponsored by Hotel Manoshanti, won the Angley's Cup Table Tennis team title. 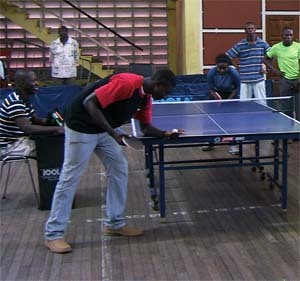 The tournament was held in the Gymkhana Hall. Goa top player, P Adarsh won both his singles matches but this did not help Regal Electrotech as Amit Naik came back from 1-2 down to win a thrilling decider. Good luck to all the promising Indian Juniors at the South Asian Junior Table Tennis Championships at New Delhi. India is the top favorite to top the medals tally. Competitions will be held in the Team, Singles, and Doubles categories in the Cadet and Junior age groups. From India, top world ranked players such as Manika Batra (World No 27), Sutirtha Mukherjee (35), Sagarika Mukherjee (Cadet World No. 24), Anirban Ghosh (Cadet World No. 33), Birdie Boro (Cadet World no 65), Lalrin Puia (Cadet World No. 85), Sudhanshu Grover (90), and Abhishek Yadav (152) are participating. Manika Batra, Sutirtha Mukherjee, Reeth Rishya, Ayhika Mukherjee, Sagarika Mukherjee, CALANGE RAVICHANDRAN Harsha V, Akula Sreeja. 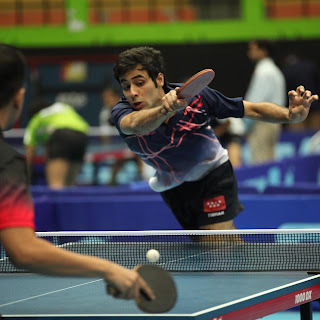 India's clout in the World of Table Tennis is increasing exponentially. Table Tennis Federation of India (TTFI) Secretary General, Mr Dhanraj Choudhary, has been re-elected as the Honorary Treasurer of the Asian Table Tennis Union (ATTU) at the General Council Meeting of the Asian body. 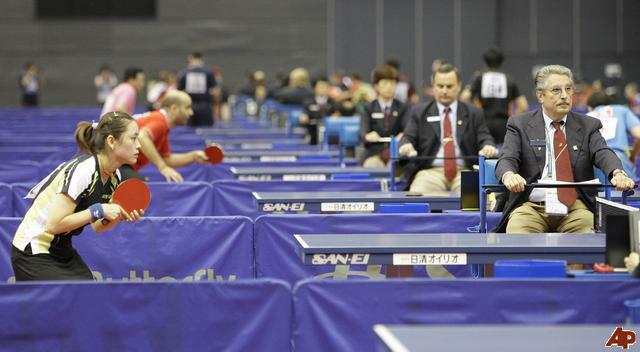 Former Table Tennis great Cai Zhenhua of China and Tony Yue of Hong Kong were elected President and secretary general. It is worth noting that Dhanraj Choudhary was recently elected to the Board of Directors of ITTF at the Paris World Championships venue. Other TTFI officials who earned terms on the ATTU were TTFI President Mr P C Chaturvedi (elected to General Council as member), TTFI Sr Vice President Mr Rajeev Bodas (nominated as Chairman of the Coaching and Junior Committee). Ganeshan Neelakant Iyer, who has proven his mettle by conducting several international events as chief referee in India as well as abroad, was nominated to the Technical Committee as a full member. The premier championships for European youth players has started at Ostrava on 12th July and will run up to 21st July. Aerobic Table Tennis was started at Wigan in Greater Manchester by Steve Rowe. It is rapidly gaining popularity, especially with Olympian Iulia Necula and Ryan Jenkins making efforts to spreading it even more. Other backers include English No. 1 Liam Pitchford, Kelly Sibley, and Hannah Hicks. Ryan Jenkins recently conducted a session where 600 girls participated! 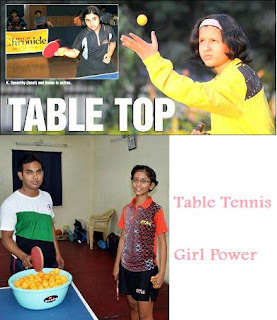 A web site dedicated to Aerobic Table Tennis has been launched recently. Light, medium, and heavy training sessions are available in every region. Table Tennis reality show in China, Who is the King! 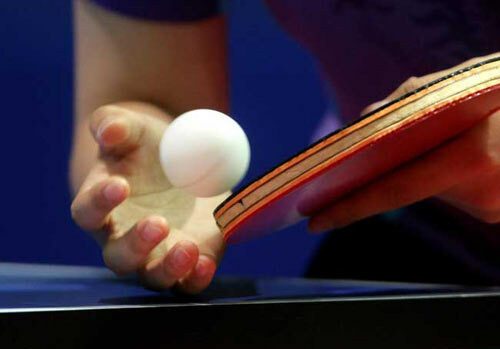 Table Tennis is so popular in China that it is not only the National sport, it is popular enough to deserve a reality show on prime time television! Recently, the Table Tennis reality show completed it's first season. The show aims at giving a good chance to upcoming players in China. Hurry! Last date for 4th Karnataka State Ranking Table Tennis tournament, Belgaum is July 16 (today). Chief referee - Henry S George 9880254195 and 9880254195. Mumbai Table Tennis tournament at MIG Cricket Club, Bandra. Dates - 19 July to 22 July. Last date for entries - 16 July. 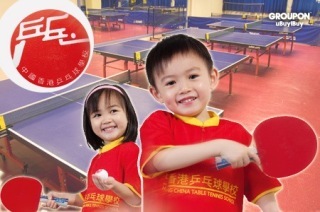 The ITTF premium tournament, Hong Kong Junior and Cadet Open Table Tennis tournament will be held from August 7th to August 11th. Local players include Minnie Soo Wai Yam. 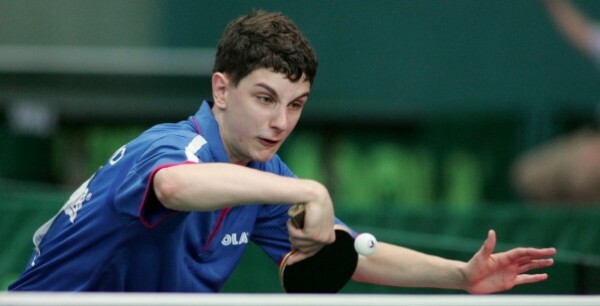 Andy Murray emulates Perry who was also a World Table Tennis Champion! Murray ended the 77 year old Wimbledon title drought by emulating Fred Perry. Did you know that Perry was a World Table Tennis Champion before he started winning Grand slam Lawn Tennis titles? Young Harmeet Desai will face World No. 1 Xu Xin in the third round of the Asian Championships at Busan. The match will be played tomorrow at 10:30 AM India time. Ankita Das beat players from Vietnam and Korea to reach the pre-quarterfinals. Sharath Kamal is in good nick but has a tough opponent in Zhou Yu of China. Zhou survived a tough 2nd round battle battle. Amalraj will play against Jian Tianyi and Sanil Shetty will face off against Kenta Matsudaira. 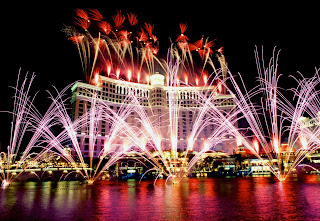 Las Vegas is hosting the GAC Group 2013 ITTF World Tour, US Open, Americas Challenge Series from 03 Jul 2013 - 06 Jul 2013. Indian names in the official entry list - Pooja Sahasrabudhe, Divya Deshpande, G Sathiyan and Jubin Kumar. India faced China in the Quarterfinals of the Men's team event at the Asian Table Tennis Championships at Busan, Korea. Amalraj gave a decent fight to Yan An in the third singles. China fielded a new gen team with Ma Long as the backbone. Sharath lost to Fan Zhendong and Soumyajit to Ma Long. It is good to see that Indian TT players are consistently meeting world class players. It surely means that progress is being made and they are only being stopped by the best. Mouma Das put up a spirited fight against World No. 2 Liu Shiwen. Neha Aggarwal played true to her strength throughout the team event matches. William Henzell and Miao Miao beat David Powell and Li Chunli respectively to win the Oceania Cup at Bendigo Australia. This was Henzell's third consecutive victory. While Henzell beat Powell fairly easily, Miao Miao had to battle back from 1-3 down against the experienced Chunli. The win for Miao Miao also meant that she earned a ticket to the Women's World Cup to be held at Kobe, Japan in September. Similarly, Henzell gets to compete at the Men's World Cup at Verviers, Belgium in October.